Interesting Facts about Facebook that are sure to amaze you! Facebook is ranked at the second in the list of websites with highest traffic by Alexa after Goggle at the top. With a 1.19 billion monthly active users, this comes as a no surprise. It is difficult to find a human without a Facebook account now days. Let alone human, people even have accounts for their pets. Mark Zuckerberg’s dog, Beast, has an account managed by himself and his wife, Priscilla Chan. 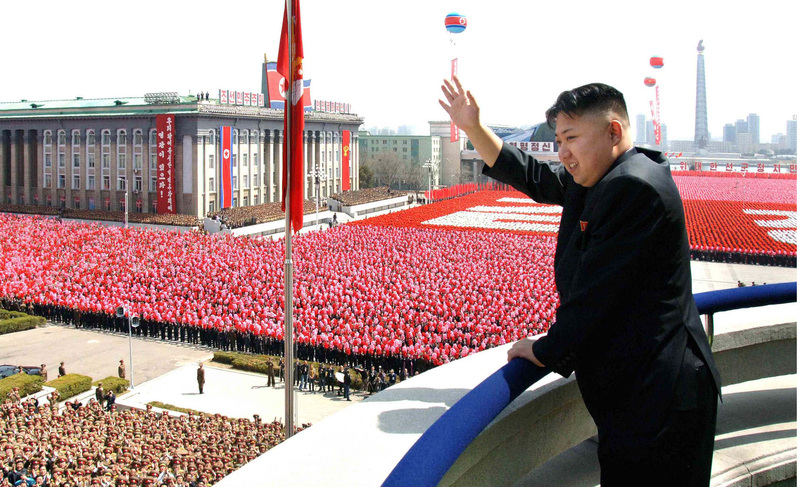 Facts about North Korea that’ll blow your mind! So recently, a video went viral of some old North Koreans meeting their distant relatives in South Korea. While it reiterated the horrors of political separation of extended families and blood relation for half a century. They also are a poignant yet bitter reminder that the Korean Peninsula is still in a technical state of war because the 1950-53 fighting ended with an armistice, not a peace treaty. For the religious ones, every festival has its own significance and its own set of rituals. For the not-so-religious ones, it is just an excuse of celebration. Following article is for the latter category. Navaratri commenced on 13th of this month and is here to stay till 21st. It is festivals with lots of dandiya, pooja, sweets & dressing up every evening. To keep the festivities at high, let us pump up some GK about it! There are 7.7 million species of animals and birds present in the world. Animal Kingdom is highly diverse, ranging from larvae in puddles to blue whales in the seas. With such high diversity it is obvious that the world would be full of weird and surprising things that these animals adapt that help them survive. Following is the list of such things that are sure to amaze you. As we celebrate Gandhi Jayanti or anniversary of Father of the Nation with a long weekend; let’s take a moment to appreciate the man who has selflessly done so much for this nation. Here, we have compiled a list of some interesting facts, you probably never knew about him. 10 things that will scare the crap out of you! Fear is a vital emotion. Psychology claims that ‘fear’ is necessary in terms of protecting ourselves from potentially harmful situations. Fear is needed to run the country. If people won’t be scared of imprisonments, they wouldn’t follow the laws. Extend this fear beyond the point of rationality and it becomes a phobia. Human body is like the God’s ultimate creation. It is capable of adapting, surviving, regenerating and on top of that understanding all these processes. We all have our basic anatomy lessons well learnt and understood. But there are so many interesting aspects to it that are sure to amaze you. We have collected some of the lesser known but interesting facts about human body. Some are creepy, some are unbelievable, some are amazing but all of them will definitely blow your mind! Conspiracy theories have always intrigued people no matter what logic they look for. Some are so surprising or convincing that given the circumstances, seem correct. Here we observe such conspiracy theories about an organization which is arguably more famous than ever among teens and young adults, all thanks to Dan Brown. Here we look at all the sacrifices made by organization which is rumored to control all world events, well allegedly!